Mobile apps in google play store make common mistakes and therefore are unsuccessful. This article illustrates 15 common mistakes of mobile apps. Turn these into a check list, this way you could easily avoid them. Mobile apps are an efficient channel of digital marketing which is used by corporations wanting to reach their target audiences without constraints of time or location and to increase their income via mobile marketing. Mobile apps are also a field in which app developers also make a profit by making various apps for themselves or their customers. App stores like Google Play Store and Apple Store which allow apps to reach more users are the focal point for mobile users, and companies or people who want to provide their apps for user’s convenience. However, any app developed can not take part in these stores without any checks. Stores are developing some acceptance criteria for the apps to provide a better service to their users. Google Play Store, which has about 1.7 million mobile apps for devices compatible with the Android operating system, also defines some standards regarding the apps. Google Play Store does not have a preliminary approval process; rather it approves by inspecting apps that are completely ready to use. 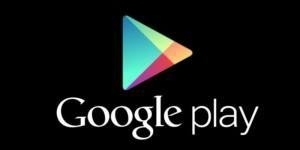 Lately, the Google Play Store has formed its content policy, regarding especially the content of the apps, based on mistakes often repeated by developers and companies. Google Play Store lists some of these mistakes as follows. Trying to create an ad credential with user credentials for advertisement and analytics. Android Advertising Identifier may be used for these tasks instead. Avoiding these mistakes stated by Google Play Store may make it easier for your app to get approved and included in Google Play Store. These points mentioned regarding content, promotion, and marketing, need be taken care of after your app being admitted into the store too. Mobile app world is waiting for you, get yourself or your business one step ahead by having a mobile app. If you want to create an app without coding, making mobile apps is dead simple with MobiRoller.